Seattle Seahawk defensive end Michael Bennett was named the NFC Defensive Player of the Week for his performance against the 49ers last Thursday. Seattle Seahawk defensive end Michael Bennett has been named the NFC’s Defensive Player of the Week after making 3.5 sacks to lead a dominating defensive effort in Thursday’s 20-3 win at San Francisco. 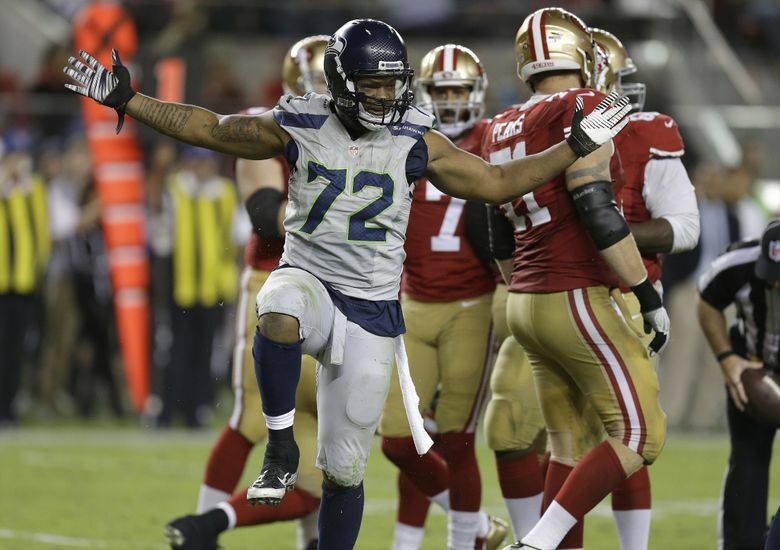 Seattle had six sacks in all in forcing the 49ers to force nine times in 10 possessions. Bennett’s total was just off the team record of four for a single game held by five players (most recently Chris Clemons against Green Bay in 2012). It’s the first Player of the Week award for Bennett, who now has 6.5 sacks on the season to stand tied for the lead in the NFL with Carlos Dunlap of Cincinnati and Chandler Jones of New England. He is the fourth Seattle defensive end to win the award joining Jacob Green, Michael McCrary and Clemons. Rookie Tyler Lockett won NFC Special Teams Player of the Week honors earlier this season.